Becoming the work package leader in dissemination and training in future scientific calls. Moreover, Altertox is willing to act as project coordinator for desk scientific work. Hands-on training to accompany scientists within the project proposal and dissemination of their results in the lab to professionnals in addition to peer-reviewed articles. Summer school for young scientists. Benefit from our network and outreach professionals as well as layman audience on social networks. Connect your scientific project with EU policymakers. The European Commission Directorate General Joint Research Centre and Abilways IFE relies for the 2018-2020 period on Altertox to train its staff on “scientific evidence in policy making” to implement their knowledge management for policy scheme. A total of 400 people will be trained. University of Konstanz Center for alternative to animal testing (CAAT-Europe) counts on Altertox services for the Horizon 2020 EU-ToxRisk. “Mapping education and trainings on the 3Rs and feasibility study on indicators of alternative methods to animal experimentation” inventory for the European Commission DG-JRC-EURL ECVAM funded project (Tender Reference JRC/IPR/2017/F.3/0065/NC) in collaboration with Biotox and Douglas Connect. 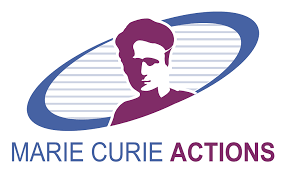 Altertox is also involved as an individual with “in3” funded by the Marie Skłodowska-Curie Action – Innovative Training Network.